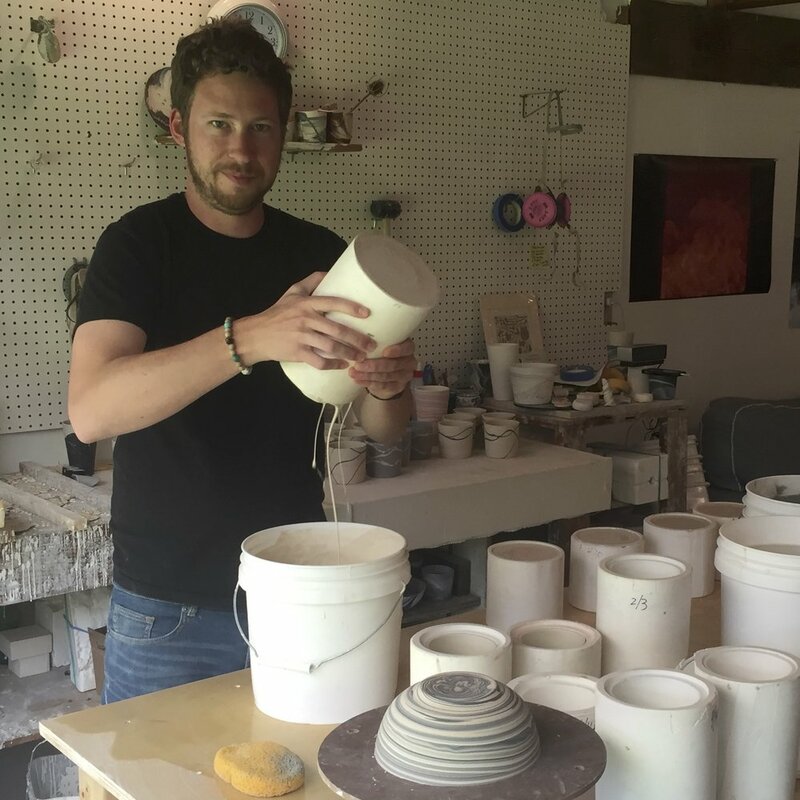 about — Forest Ceramic Co.
Forest Ceramic Company is located on Orcas Island, WA, and owned and managed by Sean Forest Roberts. With a background in chemistry and four years of work experience in science labs, I bring an experimental mindset to my artistic process. My work is constantly changing as I explore new ways of creating pattern, texture, and form. I am deeply fascinated by the underlying randomness in the patterns and structures of nature, and I attempt to replicate some of those effects in my work. My current work is the product of 5 years of experimentation with marbling colored slips. Colored liquid clays are mixed and poured to create the vast array of patterns available in my series.